In many cultures, a person’s name carries significant meaning and may even be thought to describe one’s destiny. In the Southeastern region of his native Nigeria, Dr. Emmanuel Miri’s name means "water" and "life," and few names could be more appropriate for the man who directs the Carter Center's health programs in that country. Miri has spent decades fighting river blindness, trachoma, lymphatic filariasis, schistosomiasis, and Guinea worm disease — every one of which has a connection to water. In 1988, Nigeria was the world’s most endemic country for Guinea worm disease, reporting over 650,000 cases in all 36 states. In 2013, having worked closely with Miri’s skilled Carter Center staff and volunteers, Nigeria’s Federal Ministry of Health achieved World Health Organization certification that it had eliminated the disease nationwide. Now Miri has his sights set on river blindness, and he’s confident of success. “The advantage we have is that we’re coming from a background now of having been successful, and that on its own is motivating enough,” he said. In 2012, Nigeria bestowed its second-highest civilian honor on Miri. He’s aiming higher. His confidence is well founded. 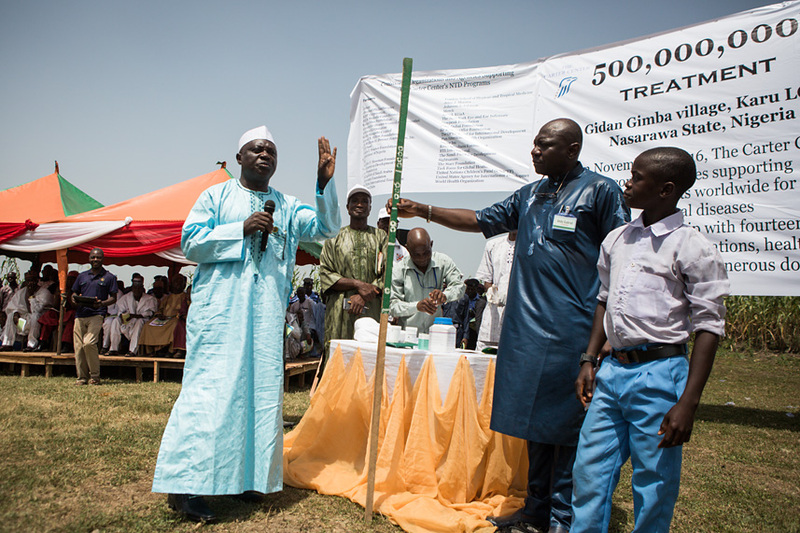 During his tenure, Nigeria also has stopped lymphatic filariasis transmission in two states and reduced trachoma to the point where it is no longer a public health threat. Still, no one — least of all Miri — believes eliminating river blindness will be easy. A second challenge is the massive amount of data that must be collected to track progress against the disease. Most of the raw data will be collected by amateur volunteers, who will need extensive training and supervision. 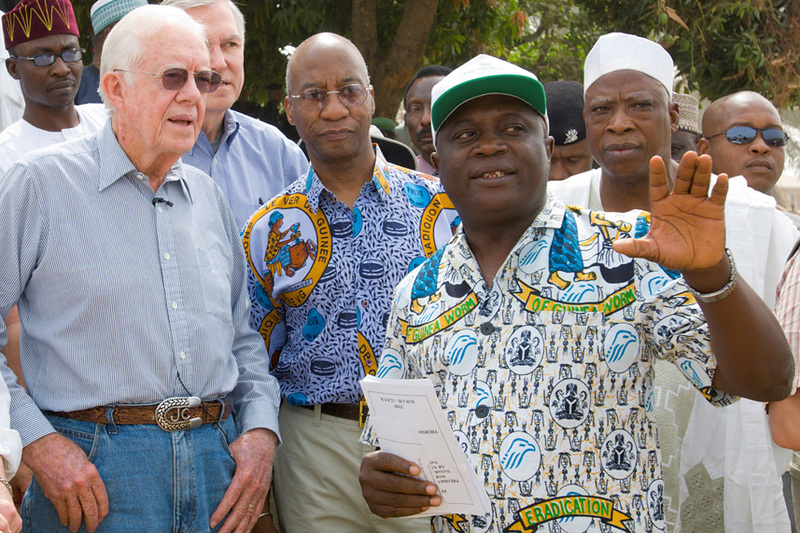 In addition, wherever possible, Carter Center health programs limit costs by integrating treatment for multiple diseases — river blindness, lymphatic filariasis, schistosomiasis — each with its own drug. This means volunteers must take extra care in determining and administering the correct dosage of each drug for each patient. A third challenge is persuading everyone involved — the health ministry, the Center staff, the volunteers, and the population — to change their mind-set from control to elimination, he said. The beauty of programs that rely heavily on community participation is that when the programs conclude, a trained workforce, a functional system, and an aware populace remain in place. Miri has been in this battle for more than 20 years. He’s confident of winning, but he’d like for the battle to be over. It’s been a lot of hard work.